Tarte Cosmetics Fall 2014 Collection. Well, we are mid way through August so I guess it is time to start taking fall. I don't want to admit that the fall season will be here sooner rather than later, but it will be. The only thing I do get excited for when it comes to fall is the fall beauty collections. One collection that has me really excited is the Tarte Cosmetics Fall Collection. 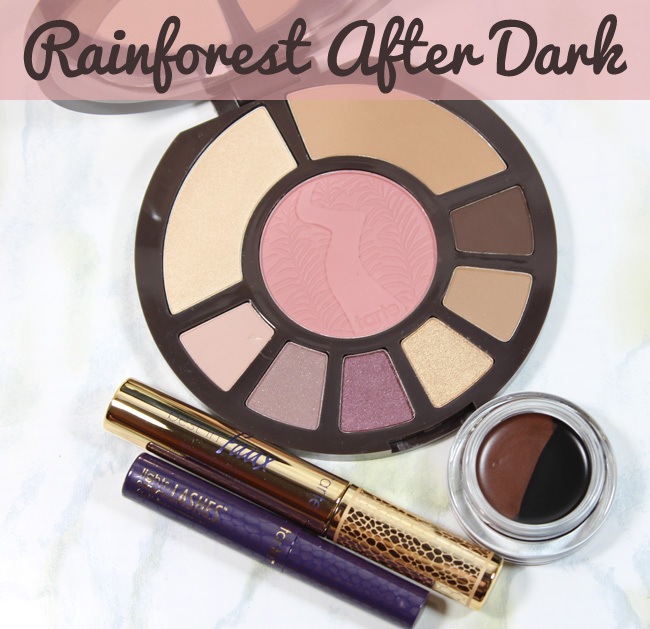 At the center of the collection is the Rainforest After Dark Limited-Edition Colored Clay Eye & Cheek Palette. Just look at how beautiful it is - can you tell why I am excited? The signature of the collection is the snake that is embossed on two pieces of the collections, the palette and the eyeliner (more on both below). The next piece of the collection that I really think is a must is the Amazonian Clay Dual Liner ($28). First off, it is waterproof so it doesn't budge. Now just look at the colors in the pot. You get a true, deep black and a beautiful deep bronze. These are clay liners, that are like a gel liner, but a bit creamier, that leaves a soft velvety looking finish. They apply really easy with a slanted eyeliner brush and like I said last all day with its waterproof formula. I like that there are both shades so you can use either or, or mix them up and wear black on the upper lash line and bronze on the bottom lash line for a real sultry look. This Amazonian Clay Dual Liner is limited edition is only available at Sephora. 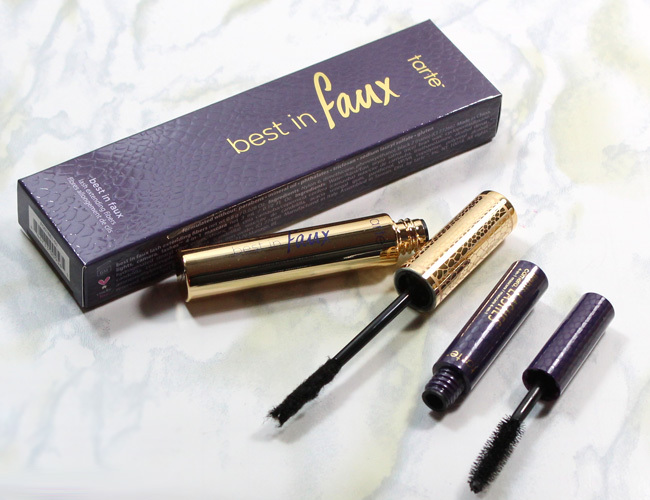 To finish off the eye look, you have got to go for the ultimate from Tarte with the Best in Faux Lash Extending Fibers ($19). This is a mascara with two products and three simple steps for the big lash and wow factor. You first apply Tarte's Lights, Camera, Lashes Mascara as a base coat. Then you apply the lash fibers. To do so, I sort of pat the fibers on top of lashes with the wand and start from the middle of the lashes and then glide them outward. Finally, I set the fibers in place with a final coat of the mascara. The Tarte Cosmetics Fall 2014 products are available at tartecosmetics.com and at Sephora now. Top 14 Back to School Beauty Musts.